There is a plethora of ways to participate in MUIMUN. Search through this page to find the one that suits you best! The Delegates’ registration for MUIMUN 2019 is now open! If you have booked your accommodation via the Delegates’ Service Team, please make sure to take this deadline into account. Unfortunately, we cannot reserve your spot any longer. 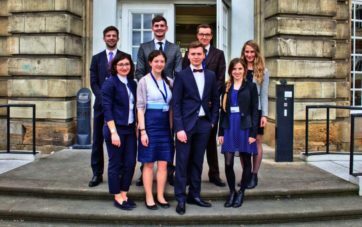 If you are currently studying in Münster, you can refine your MUIMUN experience with credit points for your university course. Complete participation in a two day preparation seminar, that will be held prior to the conference. If you do not need ‘Allgemeine Studien’ for your studies, you are very welcome to take part in the preparation workshops and/or the conference anyway, you just won’t be able to obtain credit points for it. The preparation seminar will take place on March 6 and March 7 from 9 am. to 4 pm. in the building for the ‘Arbeitsstelle Forschungstransfer’ (AFO), Robert-Koch-Straße 40. If you are interested in participating, please contact the General Secretariat at secgen@muimun.org. The Westphalian Diplomat is the MUIMUN newspaper that is published every day during the conference by our PR team. If you’re interested in journalistic work, support our PR-Team as a journalist or photographer! Join the Editorial Staff of the Westphalian Diplomat and help us reporting from the committee sessions and catching up the extraordinary spirit of MUIMUN! As a staff member, you will experience the whole conference without paying any fees. Becoming a rapporteur at MUIMUN is a wonderful opportunity for students, who are interested in MUIMUN but do not feel comfortable (yet) to participate as a delegate or as a team member. 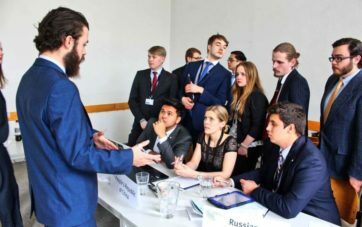 As a member of the dais, you will learn about the process of a Model United Nations conference, give assistance to the chairs, get lunch for free, take part in the MUIMUN Social Events (Rapporteurs don’t have to pay the Conference Fee) and get to know people from more than 35 countries. However, if during the conference, you feel comfortable with contributing to the discussion, you might be offered to play the role of an expert to another committee. Closely working together with the organization team and chairs, you will get a great insight into the organization of a conference. What are your tasks at the conference? Helping out, wherever help is needed! Please also include a short description of your motivation and what tasks you would like to accept during the conference. We are looking forward to receiving your applications and hope to welcome you soon as members of the MUIMUN administrative team! Since MUIMUN 2016 we have instituted a Legal Service as a valuable resource to enhance our overall conference experience and quality. We are always looking for motivated and capable students to join our team. 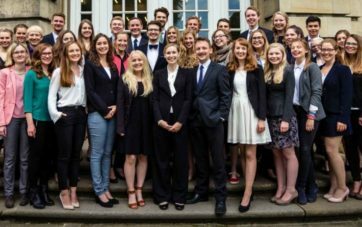 The Legal Service’s main tasks are to assist and advise the committee chairs and delegates with their expertise in international law. 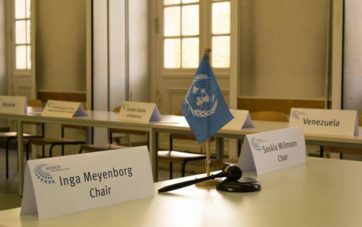 It reviews committee topics (before the conference) and resolutions (during the conference) for their accordance with existing international law. You want to engage in the MUN spirit not only for a week but instead for the whole year? Join the MUIMUN organization team and shape next year’s conference with us! 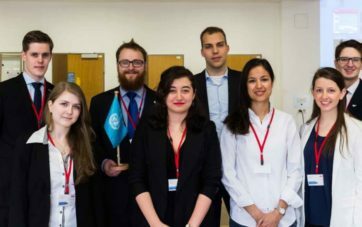 Working in the MUIMUN Organisation Team, you will not only enhance your skills in communication and organization but furthermore integrate into a plenum of motivated and politically interested students who are looking forward to meeting you. Missed the Kick-Offs? No problem – for any further information, please contact coordination@muimun.org.